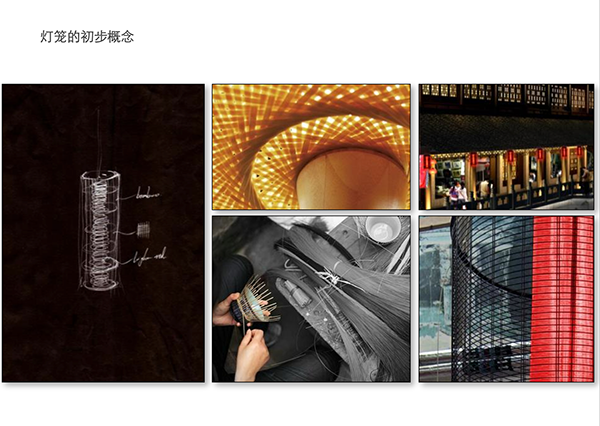 This is a project for Zhongtai Lighting's Group. 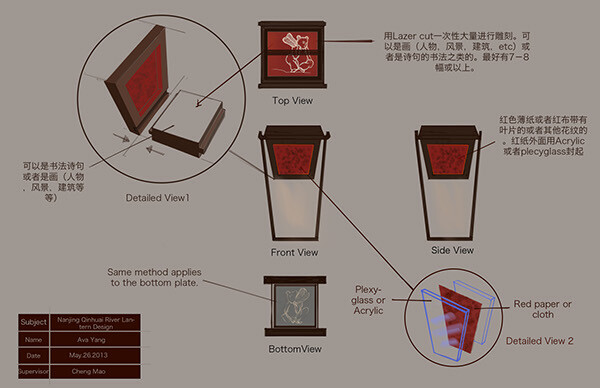 The designer has to design a type of lantern that could be hung near the Qinhuai River near Fuzi Temple in Nanjin, China. 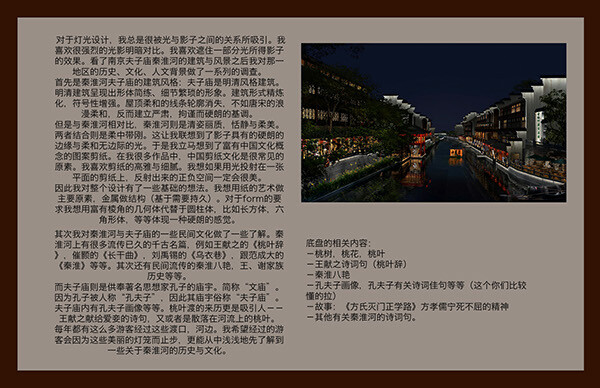 Night view of the river, and the location where the lanterns would be hung. 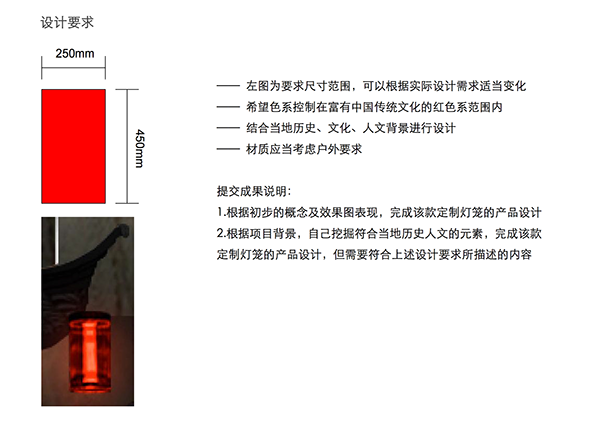 Basic requirements: The color has to be RED; the size has to be no bigger than 250mm X 450mm; integrate history, culture, and humanity background into the design. 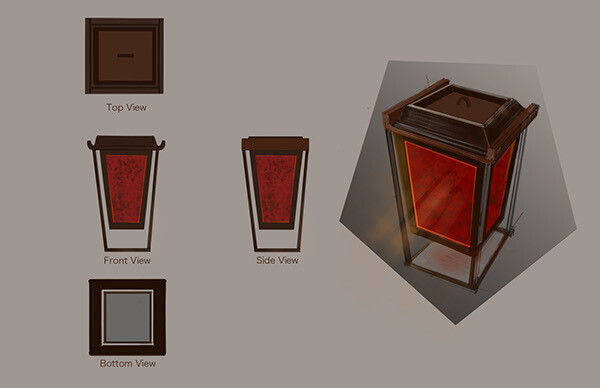 I incorporated the roof top of the Fuzi temple for the top part of the lantern. 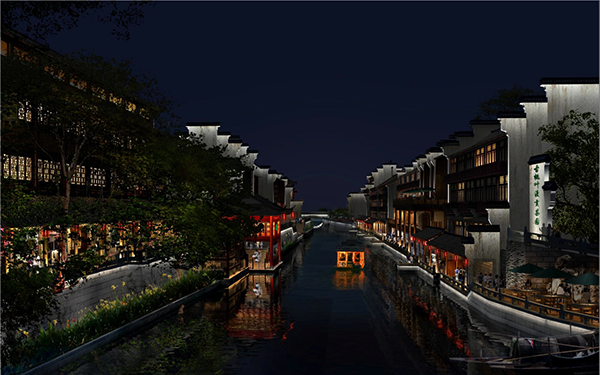 The shape you see from the sides is a shape of an arch near the Taoye Wharf. 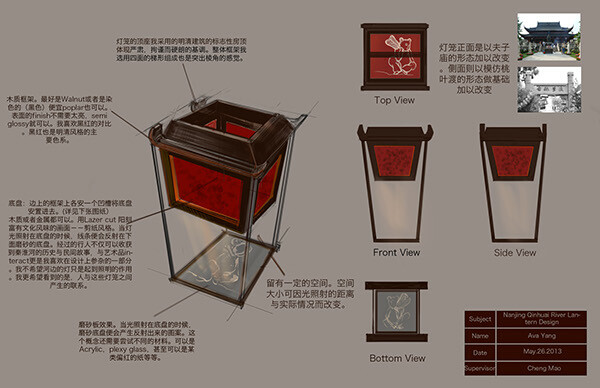 I wanted to incorporate the idea of chinese shadow puppetry at the bottom of the lantern. 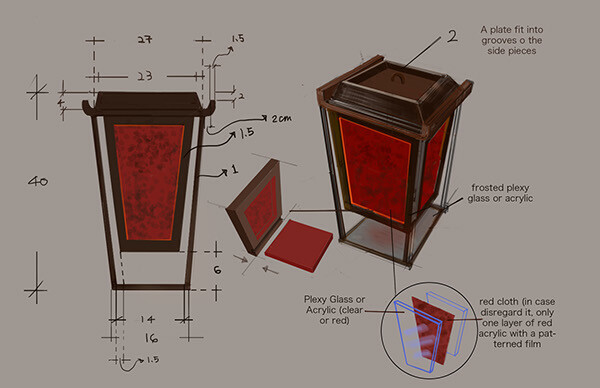 However, the lanterns are supposed to be hung under the eaves by the river, and it is too detailed to be seen from a long distance. 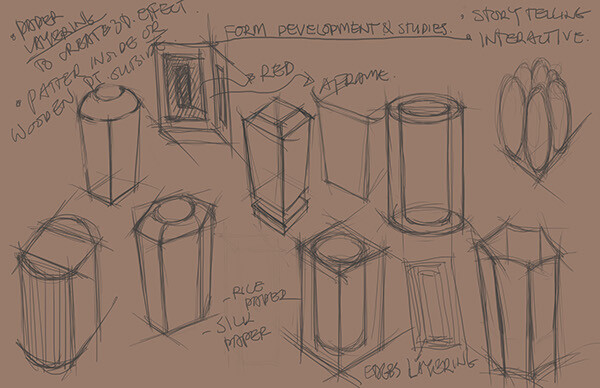 This idea was abandoned at the end. 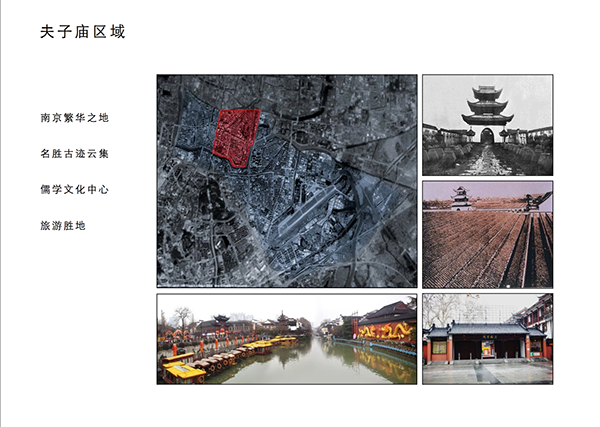 The project is to design a Chinese red lantern for the government to decorate the area near the Qinghuai River in Nanjing, China.